Overview: Equal parts cookbook, memoir of a food-centric upbringing and forthright tips on a healthy outlook and life philosophy. Chock full of excellent and simple ways to cook healthy meals with simple prep. Devour with: Rioja and some Spanish peanuts to toast GP’s trip through Spain. I’m not much of a celebrity junkie and I’m rarely familiar with the minutiae of the lives of the rich and famous. 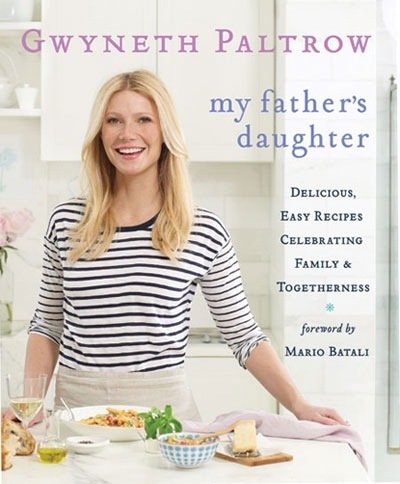 However, I gather that there are those who hang on every word of the Gwyneth Paltrows of the world and those who roll their eyes at her debut of a cookbook. As for me, I view the woman as a savvy entrepreneur, a dedicated mother with whom I share many values and an excellent cook to boot. I enjoyed a few episodes of her road trip cooking show Spain with Mario Batali, and was intrigued by her life outlook. While she may have had a very different upbringing than most of the individuals I interact with on a daily basis, I think that this is someone I would genuinely connect with in real life. And so, like any friend, I’m interested in how she stocks her pantry and her best pasta tips. Here’s a woman who has worked hard for the life she leads and now does an excellent job of using her resources to share and provide access to the best things she encounters around the world. Gwyneth’s enewsletters and online community (Goop.com) are essentially a really well-curated sourcebook for the well-lived life, full of travel tips, recipes, dining recommendations and ideas for styling and inspiration. 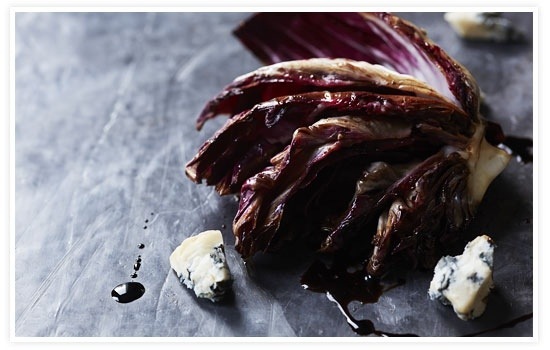 I love the make-go-get-do-be-see premise of the site – it’s well worth subscribing for all the recipes and gorgeous photos. I also love the Goop partnerships producing exclusive collections like the gorgeous Bopeeps lingerie, Lemlem “mom & me” shirts and the absolutely beautiful, multi-functional silk dress by loveshackfancy above, which I am completely smitten with despite it being a bit out of my price range. It’s like Transformers for girls, so I’ll aspire to get one into my closet so that I can better follow the fashion lead of my other lifestyle muse, Bea Johnson of Zero Waste Home. I borrowed My Father’s Daughter from my neighbor Robin, so now that I’ve had a thorough trial run, I’ll have to pick up a copy for my own collection as well. I’d love to know if you’ve devoured this one yourself! The Books to Devour section is an occasional review of my favorite cookbooks and food-themed literature. I’d love to hear about your favorite foodie reads. Enjoy! 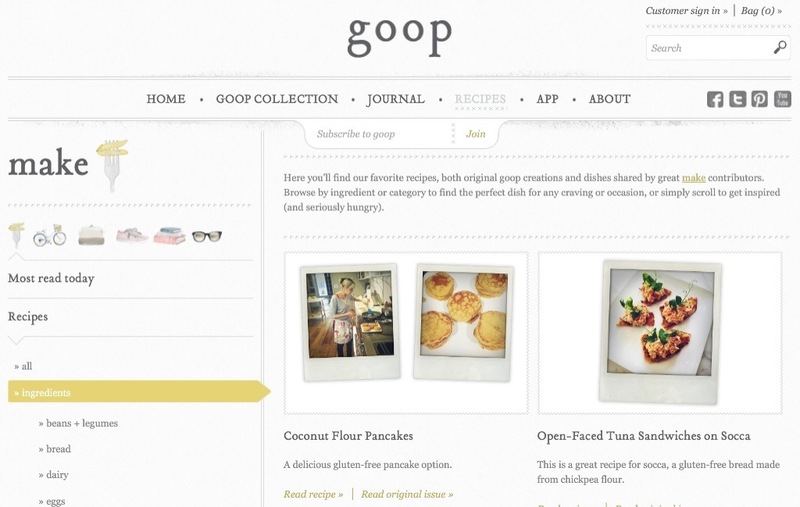 All photos are from goop.com and are not my own. Thanks for the reminder to check out her site and read her books. Her latest one looks interesting, too! Have you read Mark Bittman’s “Vegan before 6:00” book? Of course, you are 24/7… but it is a good read for those who are thinking about it and wondering about vegan or vegetarian benefits. I couldn’t do vegan, I just know it. But I could do a hybrid vegetarian diet!